Want to find an IP Orthodontic trained dentist in your area? If you would like to find an IP Orthodontic Dentist in your area, please send us your contact information and location. 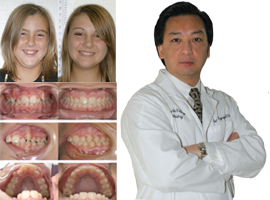 We will send you an email back with the IP Orthodontic doctors in your requested area within 1-2 weeks. Though there are thousands of IP Orthodontic dentists from around the world, please note that some areas may not have an IP Orthodontic dentist nearby as training to become one is extremely rigorous.